Kick off Summer 2018 right, by scoring some free adform creative swag! We want to pay it forward to our loyal customers and friends. 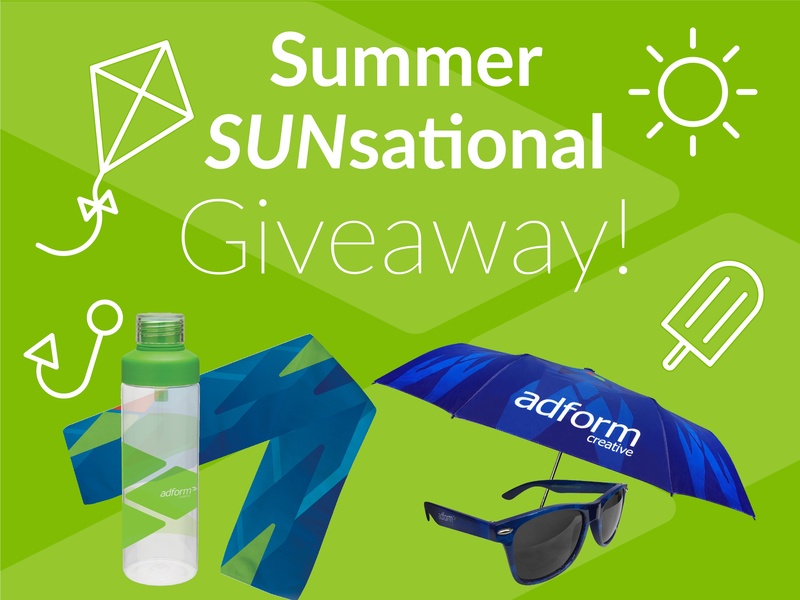 Simply fill out the form below and submit a photo of you(or your family/friends) using our adform creative umbrella, sunglasses or any other adform swag, and we'll send you a free adform creative cooling towel & water bottle! If you believe we already have your logo and/or wish to make a different request please feel free to contact at or call him at 800-345-3543.